Do you want to know what the best European and Brazilian Portuguese learning books are? Check this out! When you decide to embark on this amazing journey of learning Portuguese, you need to make the decision about whether to learn European or Brazilian Portuguese. The language is actually the same, but the way you pronounce certain words in one version is different from the other, and very often the words you chose to express the same idea may be different as well. Below, I will identify if a certain Portuguese learning book is either for European Portuguese (also called Continental Portuguese) or Brazilian Portuguese. This is a book I co-authored and it is a study companion with exercises written in plain English, which explains the things that you need to know to be successful in learning Portuguese. No prior grammatical knowledge is assumed, and technical terms are explained clearly and progressively. Exercises are provided to help you consolidate what you have learned and build your Portuguese vocabulary. Although the main focus is on European Portuguese, Brazilian alternatives are also given. 326 pages of great content. Among the many things covered in this book: How do you pronounce words in Portuguese? What do all those funny little squiggles mean? What exactly are verbs, adjectives, prepositions, and pronouns, and how to use them in a sentence? How do you use the personal infinitive? How does the subjunctive work? If you don't know your diacritic from your diphthong, this is the book for you! This exercise book is great for beginners to learn and revise the basics as it covers the basics of grammar in European Portuguese. 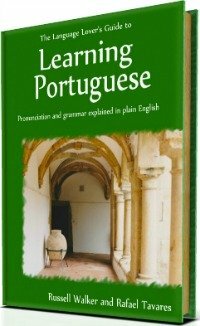 This book does not present instructions in other language than Portuguese but the instructions are easy to follow and for each exercise you will find an example of the task. It gives you fill-in-the-blanks exercises for you to assess your progress. At the end of the book you can find the keys to the exercises. It was written taking into account the new spelling agreement. 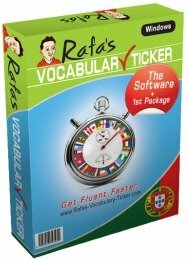 This is a great exercise book as a follow up from Gramática Ativa 1 with up to date examples which respect the Portuguese Spelling Agreement. The exercises of this book aim to help you with your European Portuguese and cover more advanced topics like all the subjunctive tenses, the Conditional, whether to use the Indicative or Subjunctive, direct and reported speech, etc.. It's great as an extra practice for exams too. It has good explanations of each grammar item with an example of how you should do the tasks. This is mainly an exercise book for beginners or false beginners. Although some students may feel overwhelmed with the variety of vocabulary chosen for this Brazilian Portuguese learning book, this is nevertheless a very good book for you to study and to practice grammar items individually. 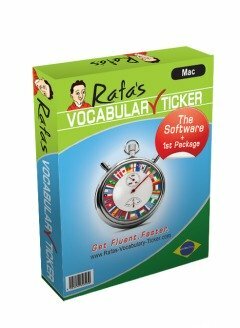 The audio CD gives you the answers in spoken language, which may help you master your pronunciation. It also gives you the key to the exercises at the end of the book. This is a great exercise book to follow up from Gramática Ativa 1 - Brazilian version. Due to the complexity of some of the units, this book may require the support of a teacher or a native speaker. It's great as an extra practice for exams as well. It has good explanations of each grammar item with an example of how you should do the tasks, but you still need to think to do them. This is an exercise book for beginners. With this Portuguese learning book, you'll be able to practice what you've been learning in class or on your own. It covers the basic tenses, the possessives, and several other vital structures for you to start putting your words together and start building your own sentences. These two Portuguese learning books go hand-in-hand. They are an upgrade of the previous version above and they present ideal exercises for both beginners and those who already control the language at a more intermediate level. Some units may require support from a teacher or a native speaker. They will definitely help you with your European Portuguese. Just remember, the more you practice the better you'll become! This is another great exercise book that may help you reach the extra mile when learning Portuguese. The book is divided into 2 parts: The first part is about grammar exercises which will help you master certain phrase structures; the second part is about exercises to let you improve your vocabulary, learn some idiomatic expressions (or sayings) in Portuguese. This book presents all its instructions in Portuguese but they are easy to follow. Also, before any exercise, there is an example to help you succeed with the rest of the tasks, but Hey! You need to think thoroughly. This book may need the support of a teacher or a native speaker, but several students of mine have used it as a self-study Portuguese learning book. This is a great book with texts, dialogs and specifically targeted exercises. This book uses some business language and it gives you plenty of information about the Brazilian culture, geographic areas and other important information. This book accompanied by a good guidance from a teacher, can help you achieve your language goals very quickly in Brazilian Portuguese. I've noticed that sometimes this book is out of order but if you manage to find one (even if in second hand), you shouldn't hesitate to get it. I haven't found any digital version of it yet. This is a very popular Portuguese learning book among Brazilian Portuguese courses. It is divided into 6 units and it is ideal for those who already have some knowledge of the language but need a full revision. If you are a complete beginner, you may need some support from your teacher or from a native speaker. This book uses a relatively big range of useful vocabulary from the beginning. It also comes with a CD for you to access the dialogs and practice your pronunciation. If you have enjoyed the first book, you'll definitely enjoy the second and third units. They all together give you a very comprehensive exposure to Brazilian Portuguese language, culture and habits. They also give you some colloquialisms and some slang as well to help you speak like a Brazilian. This is the book you should get if you want to get familiar with the type of tasks that you will be required to perform if you are to seat an Internationally recognized European Portuguese exam. The exercises are divided into levels of competence A2, B1 and B2 (in accordance with the European Language Framework). It gives you a good balance of tasks - writing, speaking, listening and reading - as well as instructions on how you should present your answers in the exam paper. You may find yourself a bit frustrated by some of the audio tracks, as the authors decided to add some background music to the conversations (as you find in audios of many other Portuguese learning books ), but don't forget that in real life you'll find all sorts of distractions when you interact with others in Portuguese. This excellent book is presented to you with a comprehensive set of exercises - 11 past exams - which cover all the areas - listening, speaking, reading and writing. This book will help you get familiar with the exam format and will challenge you throughout its exercises. It comes with audio and video files and the exercises explore your comprehension from the recorded situations. This learning book is divided into 2 parts: the first one prepares you for the exam - vocabulary and structures needed for you to succeed -, and the second part gives you 91 tasks to help you get familiar with the answer sheets as if you were seating the exam yourself. It can be used as self-study or with a teacher. In order for you to successfully do the tasks presented on this book, you need to have a substantial command of the Portuguese language already. And this is it for now about Portuguese learning books. If you decide to get a teacher to help you out or to enroll a group course, you can always ask your teacher or helper about which one of these will be better for you.